Do you have a student that struggles with blurting or incessant talking? 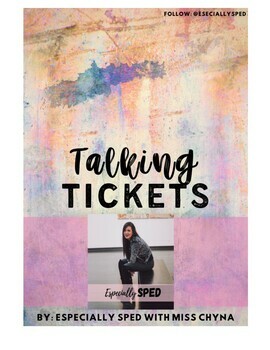 These talking tickets work great for those kiddos. Give student a certain number of tickets each day (start high and slowly graduate to less tickets), I usually start at 10 a day. Each time the student wants to add a comment or has a question, they have to give one of their talking tickets. Once they are out, they can no longer make a comment or ask a question.